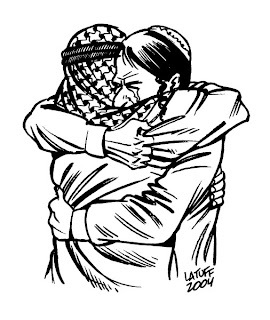 The Islam Awareness Blog: Can Muslims be friends with Jews and Christians? This verse is often quoted to show that Islam is intolerant. Quran is a complete book of guidance and while studying various issues it should be kept in mind that a particular issue may be discussed over several chapters or several verses in the same chapter. A complete understanding can only be achieved by understanding the whole issue as presented over all the verses and chapters and not by looking at only part of the Quran. God specifically warns us against doing just that, upholding part of the Quran while disregarding the rest. To understand the issue of befriending the Jews, Christians or people of any other faith, we have to study all the concerned verses from the Quran collectively. From the above verses, we learn that we are only discouraged from befriending those who fight Muslims because of their religion. Now let's go back to the verse immediately after 5:51, to see if it sheds some further light on the issue. During the time of the Prophet when the Jews and Christians were in open conflict with the Muslims, there were some Muslims who were more concerned about maintaining there alliances with the Jews and Christians at the expense of the Muslim community. The above verse is referring to such situations where Muslims with doubts in their hearts will ally themselves with the enemy. God teaches us throughout the Quran that there are righteous Jews and Christians. As such there is no prohibition for Muslims to be friends with Jews, Christians or people of any other faith who are of good character.